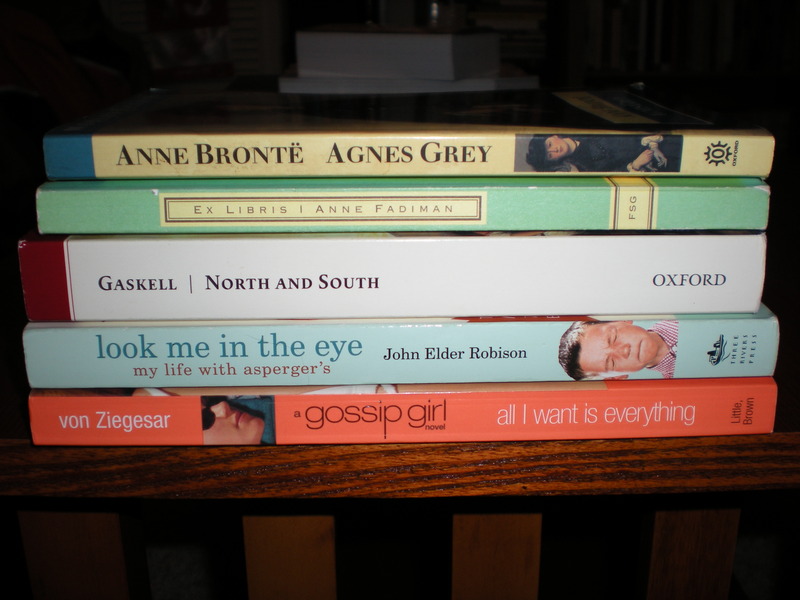 Books: April 2009 – my books. my life. The Adventures of Kavalier and Clay by Michael Chabon. That’s it. But I do feel like that was an accomplishment and I know April will be a better month. My full list is here. You can see my full list here. I ended up loving Kavalier and Clay. Once I was in the mood for it. I read most of it last weekend and I really got into it.I started Ex Libris last year on your recommendation but I had to return it to the library before I finished it. So I'm looking forward to it.I love the show but I'm afraid I won't like the books. Plus, I'm not the target age and I know that I read a lot of young adult books, but for some reason this seems different.